A Brand New Menu ! 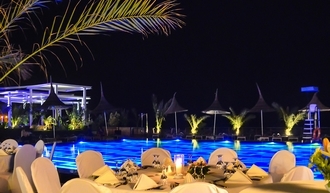 Situated right on the ocean, La Terrasse restaurant offers a wonderful culinary experience in a relaxed atmosphere with magnificent panoramic views and gentle ocean breeze. 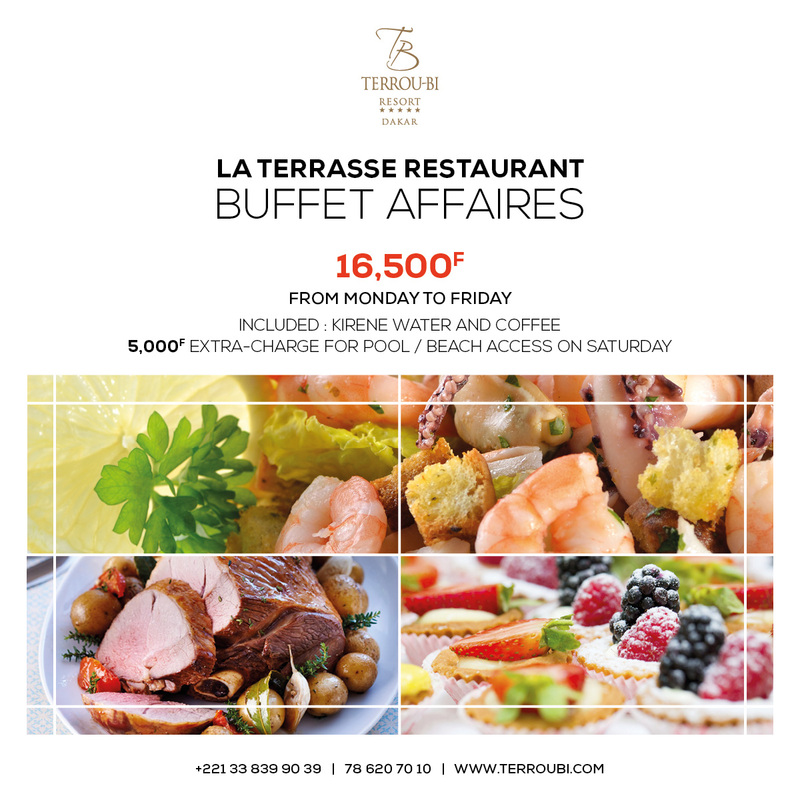 La Terrasse, with its south facing setting and tasty dishes offers a pleasant culinary experience lunch and dinner all year round. 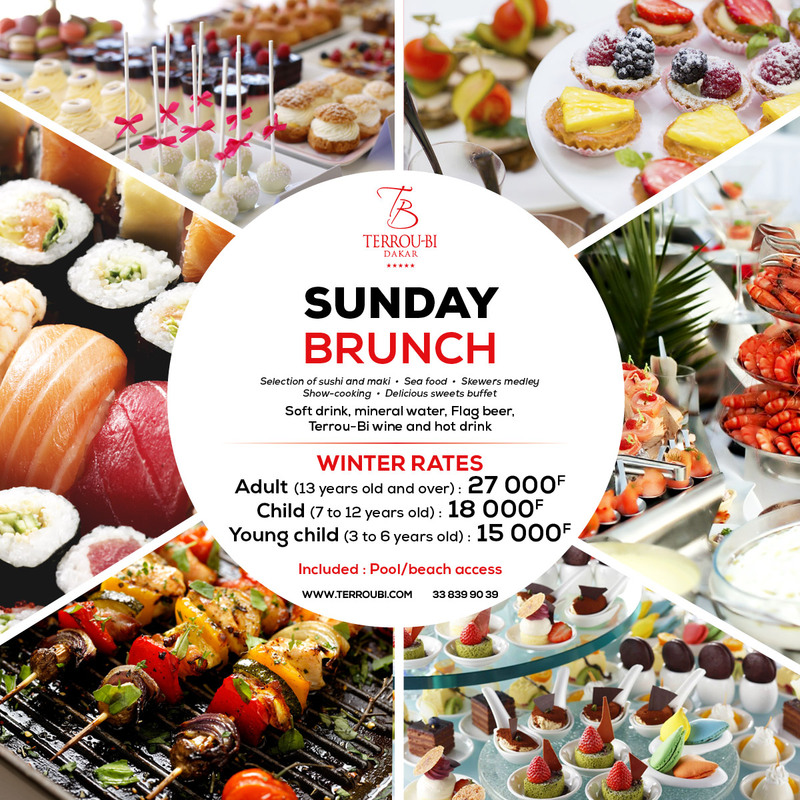 With its rich menu designed to light up your taste buds offering a selection of international flavours, famous Senegalese dishes, delicious grilled food, and pizzas, there is no limit other than the horizon where the sun meets the ocean. You can grill your meat at your table, choose your lobster from a tank, or simply order one of our fresh fish grilled to perfection. With a stunning view, the unique setting of Le Lounge gives you the serene sensation that the ocean is your only companion. 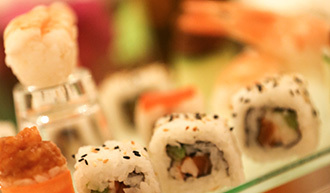 Treat yourself to one of our delicious cocktails, or a delicious dish in an elegant and trendy setting. On Friday nights, the refined lounge music leaves room for some of Dakar's most famous artists. Every day from 12.30 pm to 3.00 pm, and from 7.30 pm to 11.00 pm (00h on Friday, Saturday and national holidays). The Bar is open from 10.00 am to 11.00 pm and a snack service is available between 3.00 pm and 7.00 pm.